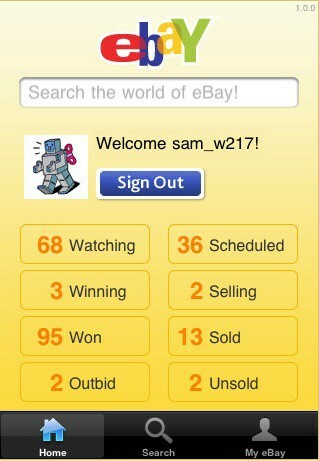 ebay have been regularly reporting on the success of their mobile-based sales. In 2009 that was $600 million, but in 2010 that lept up to $2bn. These figures are the merchandising turn over, rather than revenues, but however you look at it, the company’s early entry into mobile has paid dividends. Interestingly 1/3rd of these sales came from the UK and Germany – it seems that the British were quick to adopt ebay’s mobile app and website. 30 million versions of the ebay app have been downloaded, half of which are for the iPhone. It was only a few months ago that ebay were predicting $1.6bn revenue for 2010, surpassing these predictions led the VP of ebay Europe said, ‘it’s staggering to think that $2billion worth of sales has been generated through a platform that didn’t exist a couple of years ago, and on a device that didn’t exist three years ago’. ← Mobile Battery Life Problems: could they be a thing of the past?